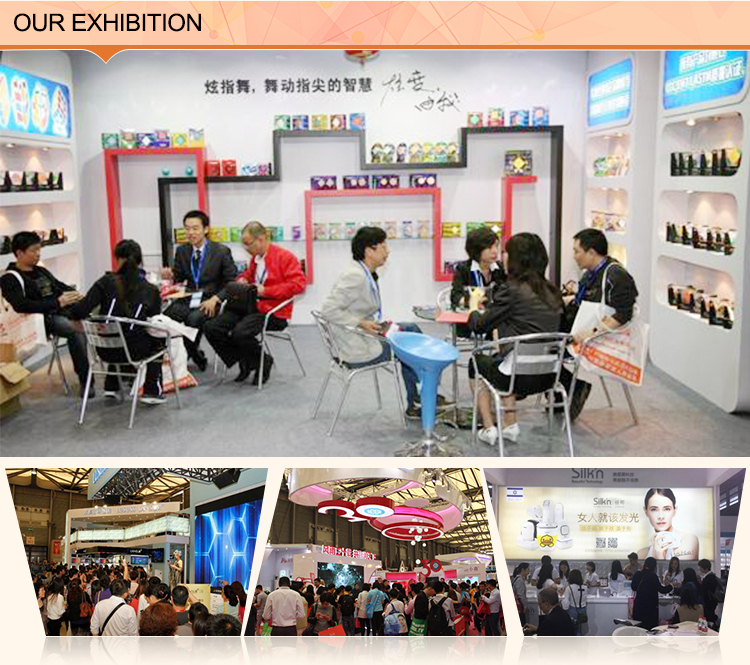 ADD: 2/F B Demingfa Industrial Park, Jiuwei Road NO1, Xixiang, Baoan Dist. 518102, Shenzhen City, China. 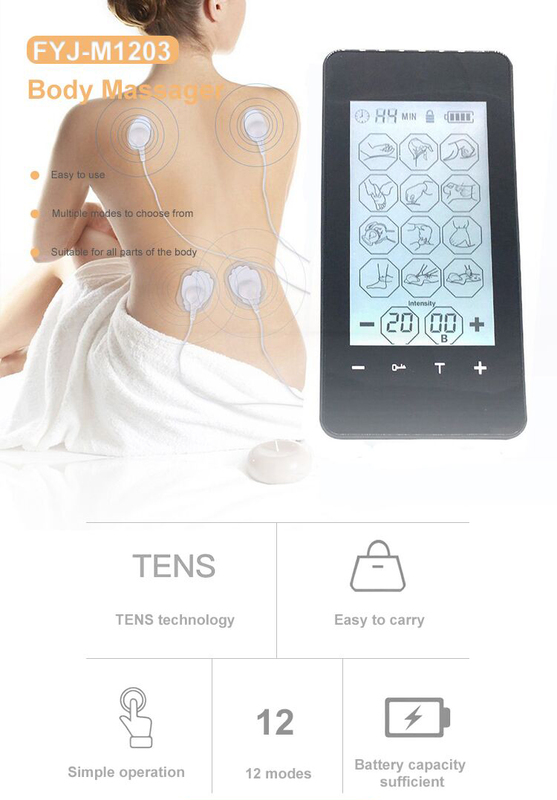 Thanks to its portable design, you can use our TENS machine anywhere and everywhere. The large LCD touch display screen gives you easy-to-read stats about operation, including battery power, mode, intensity, and time remaining. 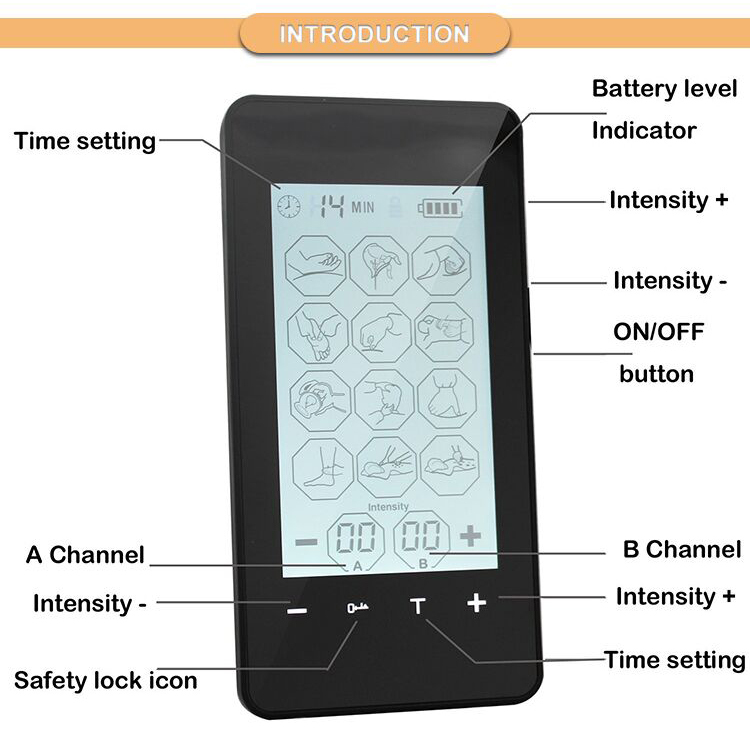 Our screen is ideal for people with limited vision or those who use the TENS unit at night or in low-light conditions. 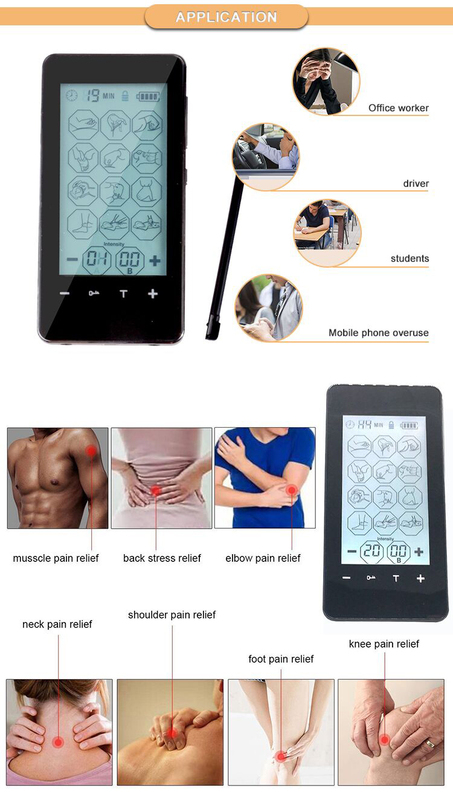 Regularly used in physical and occupational therapy sessions, using a TENS electronic muscle stimulator will relax your body, improve blood circulation, reduce pain, and promote healing for sports injuries. If you have one of the following conditions, please consult with your physician before purchasing or using this device:Acute disease, malignant tumor, infective disease, pregnant, heart disease, high fever, abnormal blood pressure, lack of skin sensation or an abnormal skin condition, any condition requiring the active supervision of a physician. 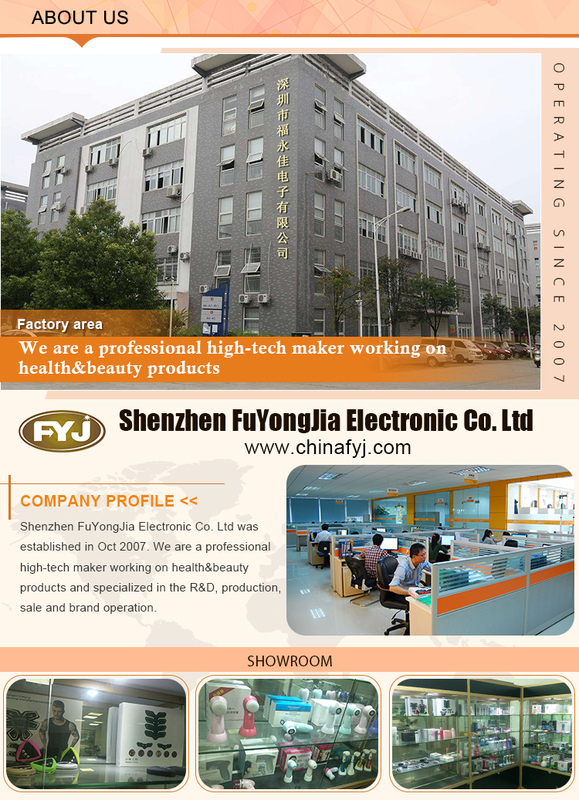 Yes,we have our own factory in Shenzhen. Q2:what about the lead time of sample time and mass production? 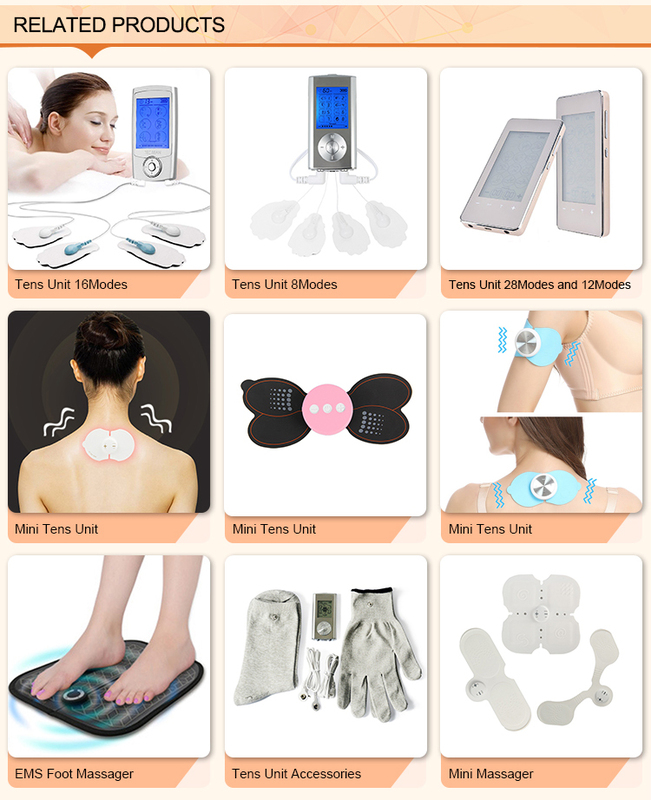 Usually,2 days for sample order,3-25 days for bulk order depends on your order quantity. Q3:Can your products pass CE/ROHS/ Certificate? Q4.Can you offer any help to develop a new item for us? and any other we can do. Q5.How can I get a sample to check your quality? sample with your payment,the freight by buyer. 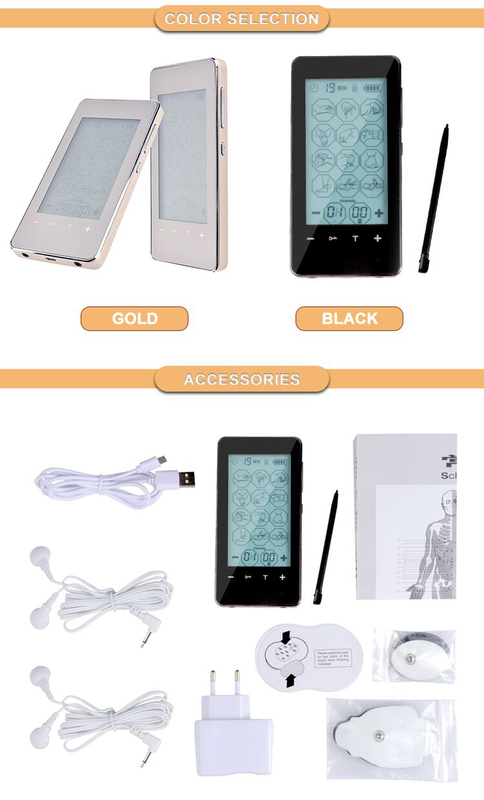 We accept T/T,Weaterm Union,PayPal.By sea for large quantity order,By air for small quantity order. Q7.Do your products come with warranty? 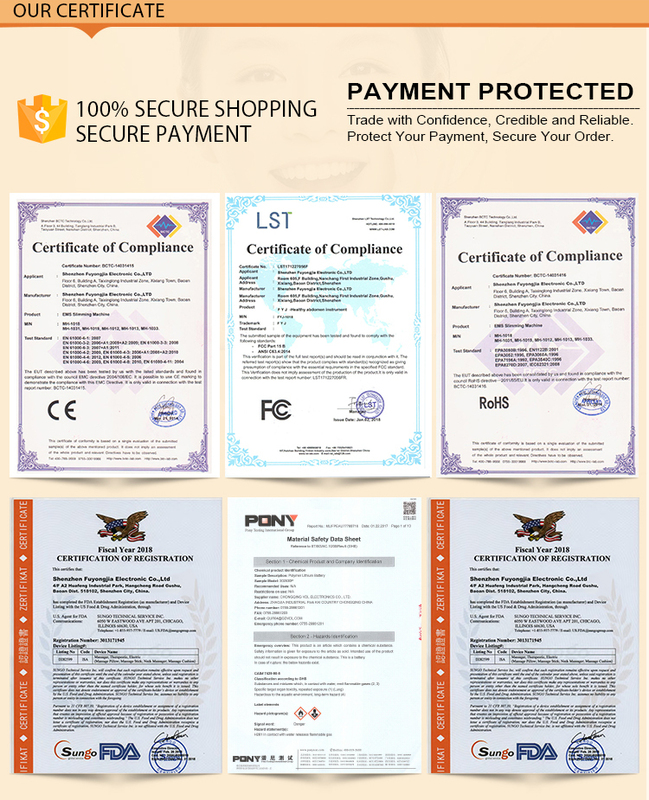 A.Yes,we promise 1-3years warranty according to diferent model. 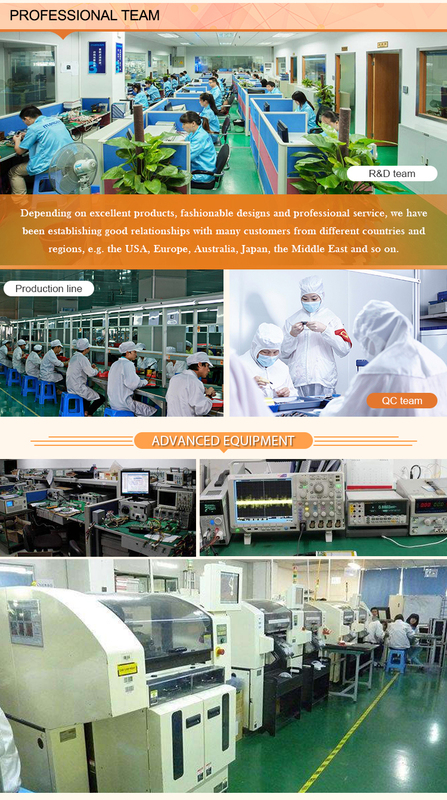 Address: 2/F B Demingfa Industrial Park, Jiuwei Road NO1, Xixiang, Baoan Dist. 518102, Shenzhen City, China.